Pre-day Fast- I’m an intermittent intermittent faster. Some days I commit to it 2 days a week, others no so much. But tomorrow it’s nothing but water and maybe small veggie portions. 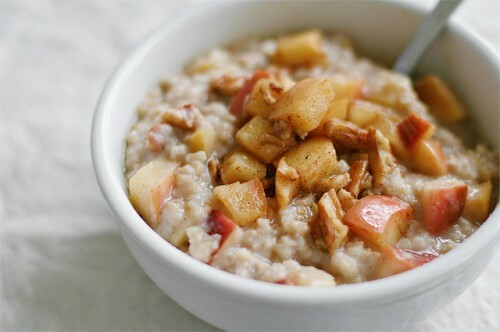 High Fiber Breakfast- After fasting, to avoid going ham at Thanksgiving I will refuel with a high fiber breakfast, probably oatmeal with apples and nuts. Workouts- Today is naturally my rest day but I think I will work out today and rest tomorrow since I’ll be fasting and don’t want to do both in the same day. Thursday I will get a workout in the morning, and try to sneak something in after eating, maybe I’ll bring my PS Move or something. Portions- I cook with plenty of low fat ingredients so I don’t worry about portions as much as I should. However ,since I’m not cooking I have no idea whats going to be in anything I’m eating, so to be safe eat a little of everything. Requiem- Thursday will be bad enough, but if go and do the same thing Friday and Saturday then I’ll surely see it on the scale the next Monday. I fully intend to enjoy my holiday, and my holiday alone. Friday it is back to business as usual. I’m realistic that I probably won’t lose three pounds this week but if I come out this weekend even at the same weight I was prior I’ll take it as a win.